The National Association of Realtors (NAR) recently released their July edition of theHousing Affordability Index. 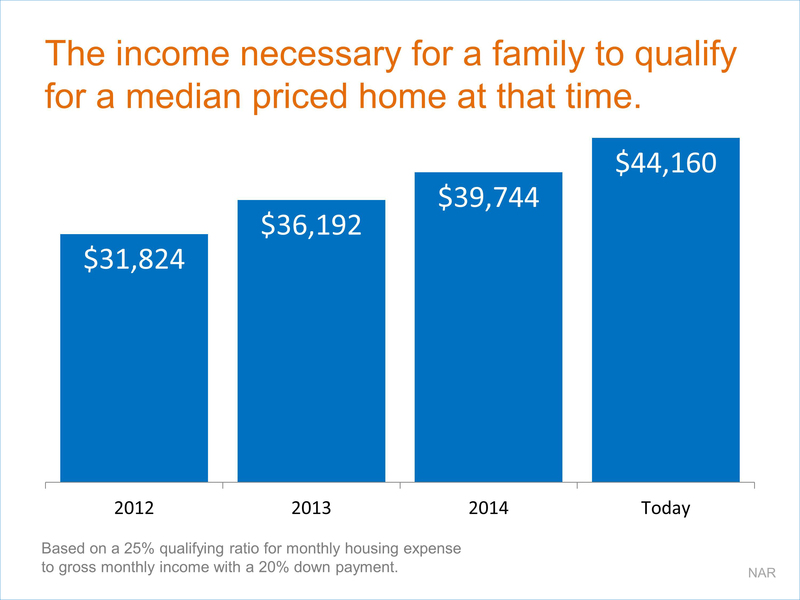 The index measures whether or not a typical family earns enough income to qualify for a mortgage loan on a typical home at the national level based on the most recent price and income data. NAR looks at the monthly mortgage payment (principal & interest) which is determined by the median sales price and mortgage interest rate at the time. 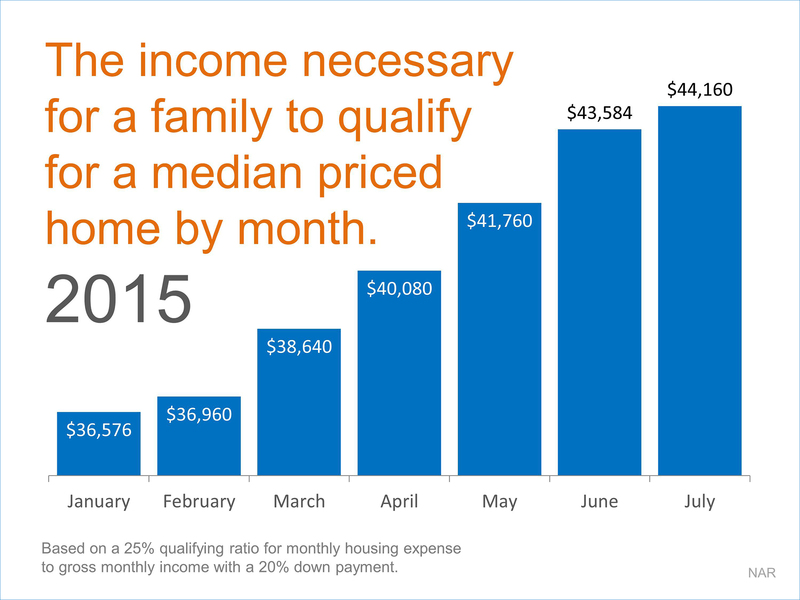 With that information, NAR calculates the income necessary for a family to qualify for that mortgage amount (based on a 25% qualifying ratio for monthly housing expense to gross monthly income and a 20% down payment). Some buyers may be waiting to save up a larger down payment. Others may be waiting for a promotion and more money. Just realize that, while you are waiting, the requirements are also changing. Previous PostThe REAL Reasons Americans Buy a HomeNext PostWhy Does A Seller Need to Know How I’m Financing My Purchase: What’s the Best Financing Method?